You know, I don't have too many things that I plan to do differently this year but one of them happens to be to create more. I should finish what I create, actually. I have so many untouched projects. Maybe it's for the best? I don't know. Some do lead to better things. (Shameless plug). Anyways. At the top of my to-do list, buy more vinyl figures. I didn't buy any in 2017 and I feel dirty. 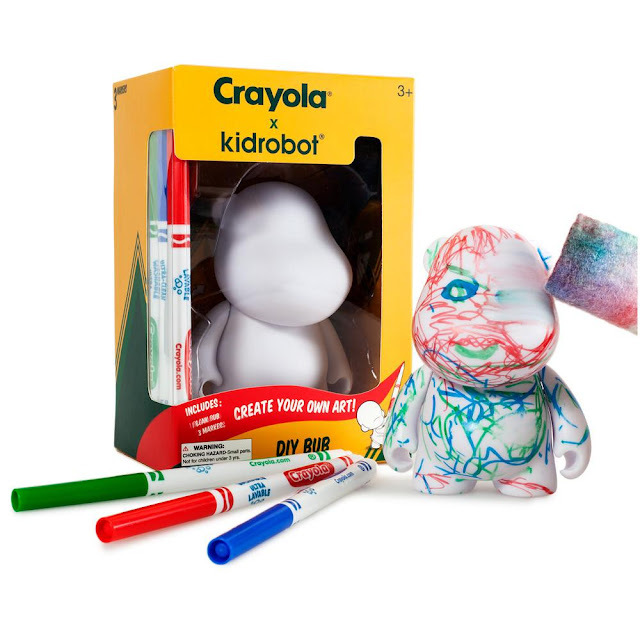 What better time to start then with the new release of the Crayola x Kid Robot foomi. 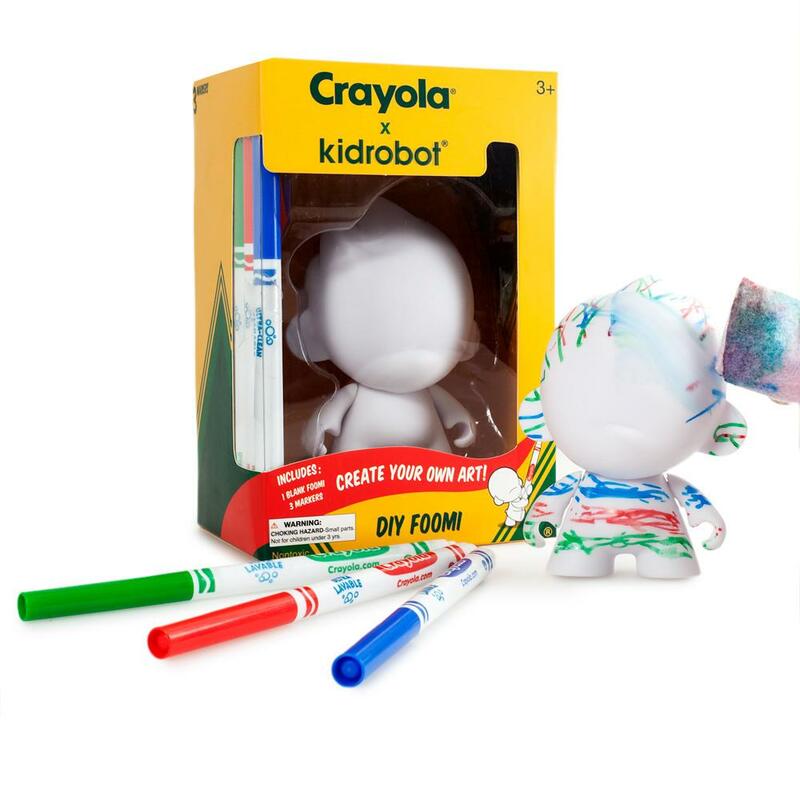 From the Crayola x Kidrobot Collection, the Crayola 4” Foomi is a new take on the classic Foomi DIY platform. The Crayola 4” Foomi comes in a window box with Crayola accents. The Crayola 4” Foomi also comes with 3 Crayola Washable Markers and a coloring book for maximum creativity! Being the lover of packing design. The main reason I will be getting this one and not the regular is for the package. It's beautiful it's my childhood. I have to have a couple. I'll let my niece use the washable markers. I'm using paint. RIght now they have two versions. The Foomi & Bub. 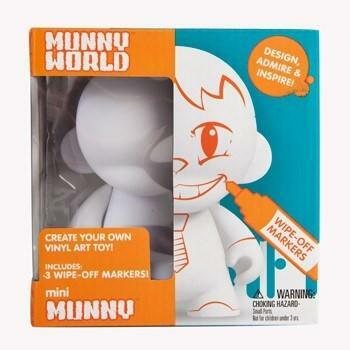 Both four inches but unique in shape and both washable (comes with markers) none the less. 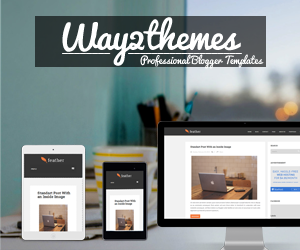 I already have a couple of concepts I want to do that involves all three of the styles they carry. At the price point of just being 9.99. I'm hoping that you all will give one a try. Bring out that artist in you. You don't have to be the best to have some fun. I would think you have picked up on a thing or two from reading my blog. Plus it's washable. You mess up (what you believe to be a mess up) you start again. Have some fun. Get one today. Also be sure to let me know in the comment section or on Twitter/Instagram what you plan on creating.